December 31, 2018 (Last Updated: April 7, 2019) - As an Amazon Associate I earn from qualifying purchases. 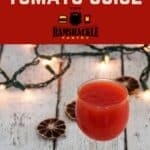 Looking for a way to use up your tomatoes or just want to make a great healthy drink? 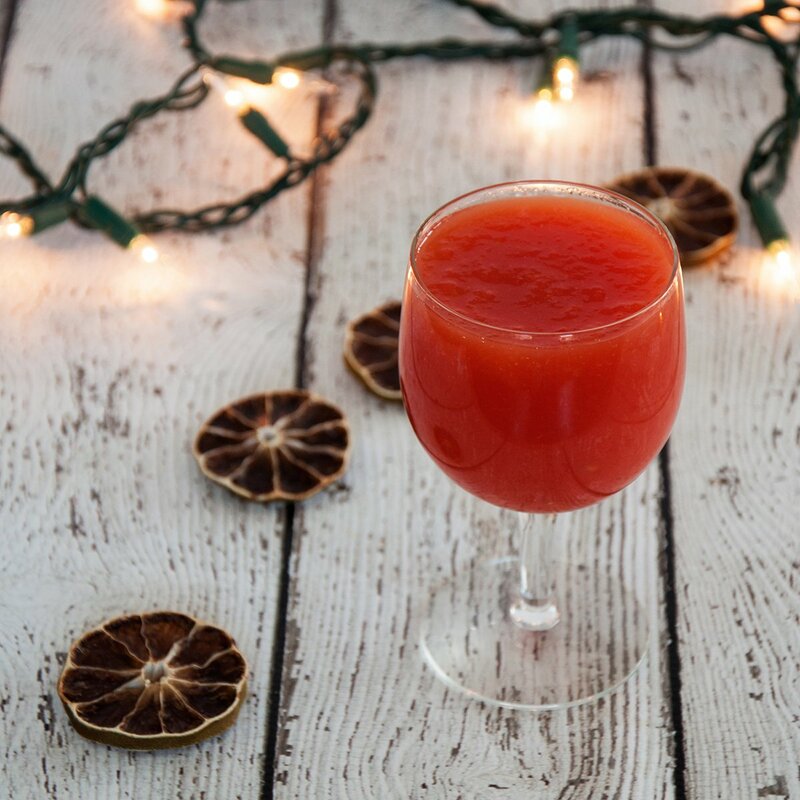 We teach you how to make tomato juice that is flavorful and healthy. 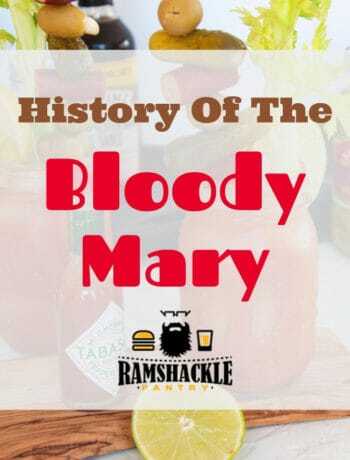 We like to bring our recipes a bit to the extreme and today, in search of a perfect Bloody Mary, we are going to go further down that path by making our own tomato juice. And we love our Bloody Mary’s at Ramshackle Pantry, but we also love making fun, healthy drinks from items we can get right out of our garden. 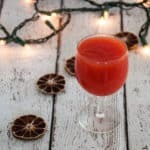 This ‘how to make tomato juice’ tutorial is very simple and can either be a great healthy drink on its own or you can level up your bloody mary game. 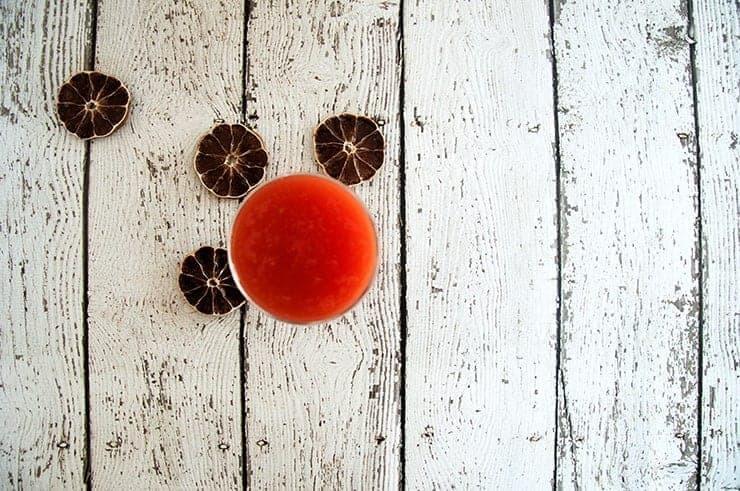 So if you want to learn how to make tomato juice, follow along. Some recipes just are not rocket science. The most basic tomato juice is merely tomatoes and salt. You could probably even do without the salt if you wanted, but I do feel it makes for a better drink. 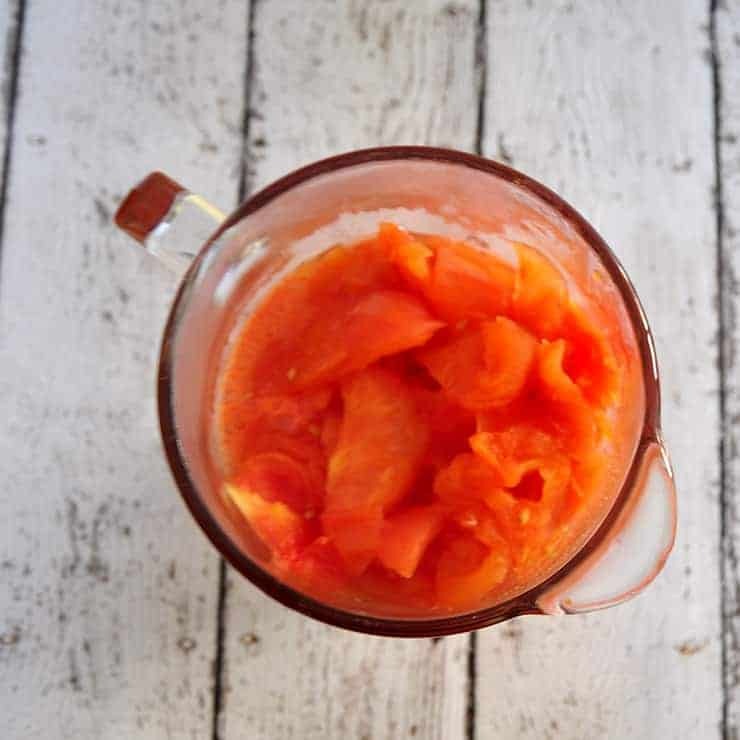 There are just a few small nuances to making a great tomato juice, but this straightforward recipe that will turn the tomatoes on your counter into tomato juice in your fridge, lickety-split. When I make sauces, I like to use tomatoes like Roma or San Marzano. For tomato juice, I like the big honker tomatoes that have a lot of moisture in them. Beefsteak or Big Boy tomatoes do well, but really any large tomato will work well. Smaller ones will be fine, as well, but it will make a difference in consistency and you will have more work to do in terms of blanching. 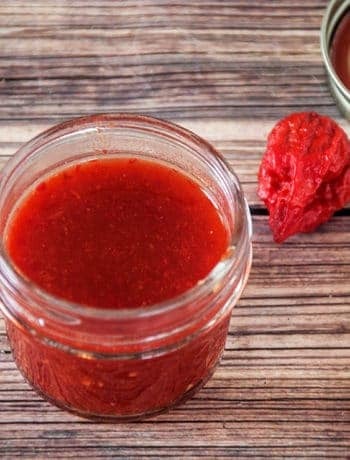 Probably the only thing that really is unique about making a tomato juice recipe is the removal of the seeds. If you have a fine strainer, it isn’t hard at all. First, we blanch the tomatoes so that we can easily remove the skins. Just a few seconds (well, 15-30) in boiling water usually does the trick and then you move the tomatoes to an ice bath with a metal spoon. The ice bath stops the cooking, as well as cooling the tomatoes down rapidly so you can easily handle them. Either the skin should already be cracked so you can peel them or if you take a paring knife and break the skin it should easily separate. Remove the skin from the tomatoes and then core them. Cut them into six wedges. This gives you access to all the seeds and gelatinous innards of a tomato. At this point, I have two bowls. On top of one of the bowls, I will place my fine strainer. I will scoop the jelly-like insides of each wedge and place it into the strainer. I will put the rest of the thick flesh into the other bowl. Once this is complete, I should have a bowl of tomato ‘meat’ and then a strainer where the seeds are draining into another bowl. I use a larger spoon to press down on the gelatinous stuff with the intention of getting the liquid into the bowl, but then leaving the seeds out. Once we have the bare seeds left in the strainer (or as close as possible), I add the contents of both bowls to a medium saucepan and bring to a simmer. Let those bad boys simmer for 15. Why do we cook the tomatoes? I tried both without cooking and cooking. Simmering the tomatoes brings a different flavor and texture to the tomato juice. A better flavor and texture. 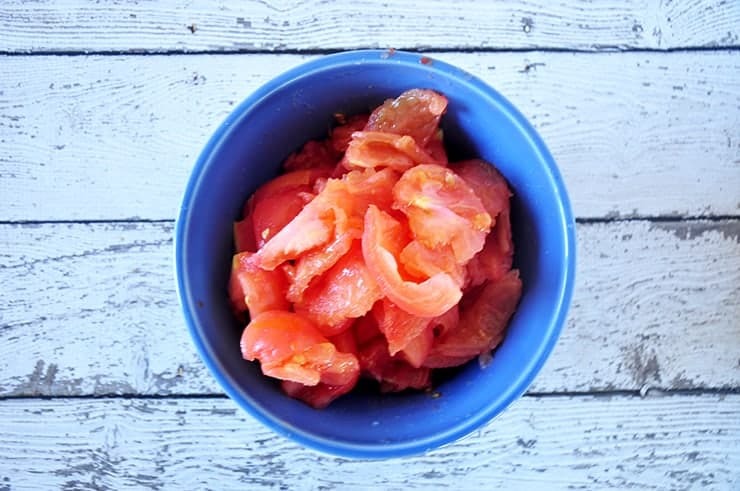 Cooking breaks down the tomato a little bit and develops the flavor. If you buy the regular stuff from the store, it is JAM PACKED with sodium. 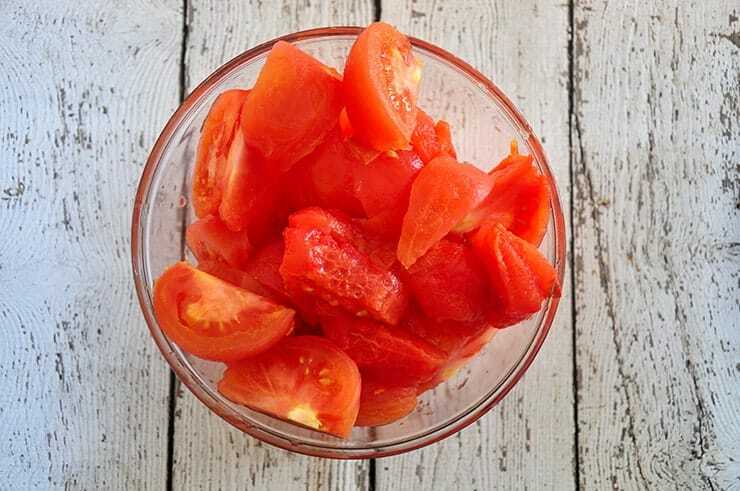 One of the benefits of making your own tomato juice is that you can control the amount of salt that goes into it. Naturally, tomatoes just don’t have that much salt in them. Through processing, it is added for flavor and preservation. I call for two teaspoons per 3 lbs of tomato, but you might like less or maybe more. THAT is part of the beauty of making homemade stuff. You get to choose. Make Some Simple Tomato Soup, Too. Not gonna lie. During the course of this recipe development, I ended up with quite a bit of tomato juice. Really, it is not THAT much different than the rustic tomato soup that I make with my grilled cheeses. You can really experiment with making tomato soup or maybe even taco sauce with this. Heck, I would imagine that this could actually be made into a tomato paste if it was simmered long enough. Really, I had fun with this and I am digging this tomato juice not only for my bloody mary cocktail, but also just as a fresh juice. 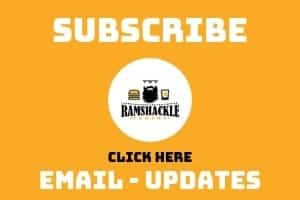 It is tasty as heck and if you like what we are doing here, please subscribe to get updates via email and follow us on the Instagram and the Pinterest. How to make tomato juice! It is easy and gives you control over the amount of salt in your healthy beverage. This is a simple recipe that tastes great. Prepare two other bowls. One that has a fine strainer placed on top and another for placing tomato flesh. Once all seeds are in the strainer, use a large spoon to gently press seed to get as much liquid into the bowl as possible. 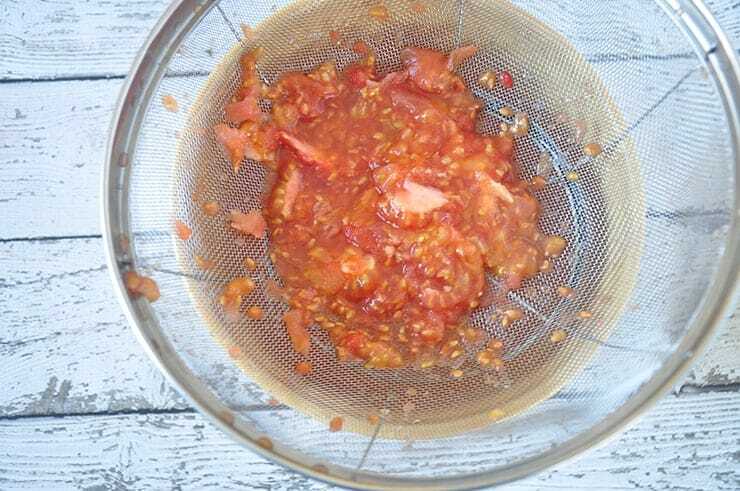 Add all tomato items (minus seeds or skin) and salt to a medium pot and bring to simmer. Store in a covered container in the refrigerator. Use within one week.